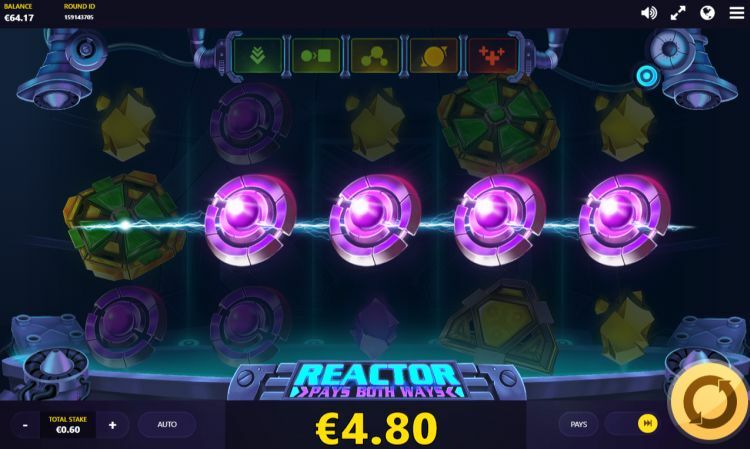 Reactor is a unique video slot of Red Tiger, set in a futuristic nuclear reactor. It’s an energetic bunch in the reactor: you sense that those big payouts are definitely within reach. And the wilds consist of electric balls of pure condensed energy. This online slot has no primary bonus feature, but that doesn’t mean you can’t win big prizes. There are mini-features, which can be stacked on top of each other, possibly resulting in huge payouts, which can amount to up to 5,000 x the total bet. How does the Reactor slot machine work? Reactor has 20 fixed paylines, accessible from both sides. There are 5 reels with 3 rows of symbols and bets can be made from $€ 0.10 per spin. Of course, higher bets are also possible: up to $€ 100 per spin. The variance of this slot is high: this a slot machine suites players who like a lot of risk in their game. The theoretical payout rate is 96.02%, which is excellent. Red Tiger slots generally have very good payout rates. The wilds replace all other symbols except the scatters (the batteries). 5 wilds on an active payline yield 500 coins. 4 coloured panels (a kind of technical parts) depict the premium, high paying symbols. These symbols are worth between 160 and 400 coins for every 5-of-a-kind. The low symbols are 4 crystal-like symbols, in the same colours as the premium symbols. A 5-of-a-kind of the low paying symbols award you between 30 and 90 coins. As we mentioned earlier, there is no main bonus feature. At least, not in the sense of a free spins bonus or a pick and click bonus. But it doesn’t mean Reactor is boring. The mini-feature offers an unusual twist. You can stack up to 4 different mini features on top of each other, to start the mega feature. This works as follows: when you spin 1 battery, you get a free respin, and you may try to spin as many extra scattered batteries as possible. 2 batteries and upward (the maximum is 5 batteries) you get several additional boosters, which will ignite the real fireworks. 4 batteries: symbols change, random wilds and a mega wild. 5 batteries: symbols change, random wilds, a mega wild and a multiplier up to 10 x. We once managed to spin all 5 batteries. Then a lot happened, and after the smoke lifted, we ended up with a beautiful payout of over 450 x the total bet. Usually, of course, you spin 2 or 3 batteries, but that can also get you excellent prices. 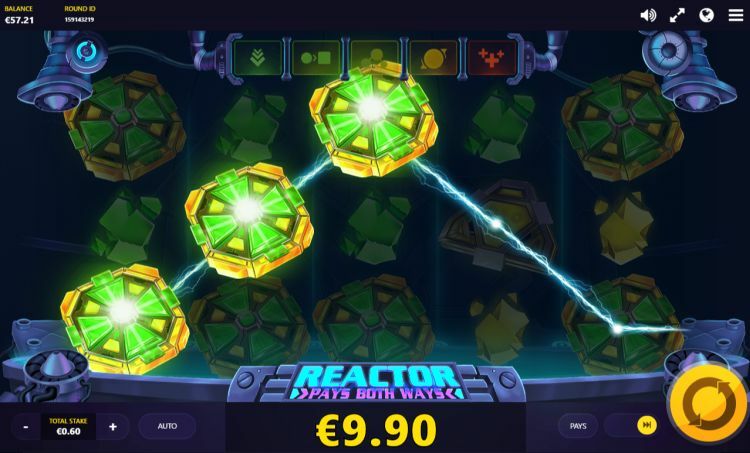 Reactor is a somewhat unusual video slot, but that’s what we love. The lack of a real main bonus feature is partly compensated by the mini features, which also allow you to win big money. Still, working up to a nice bonus round makes gambling fun. Therefore this slot is especially a suitable for Hit and Run strategy (not playing for hours); put in some bets and money, try to hit a nice win and get out immediately. 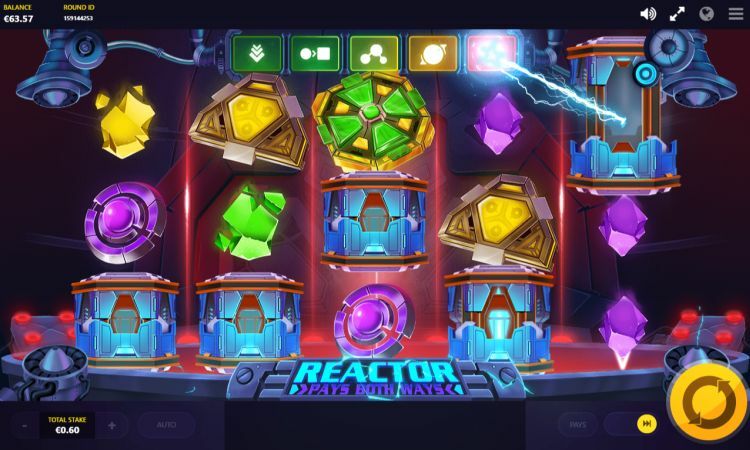 Where can you find Reactor? 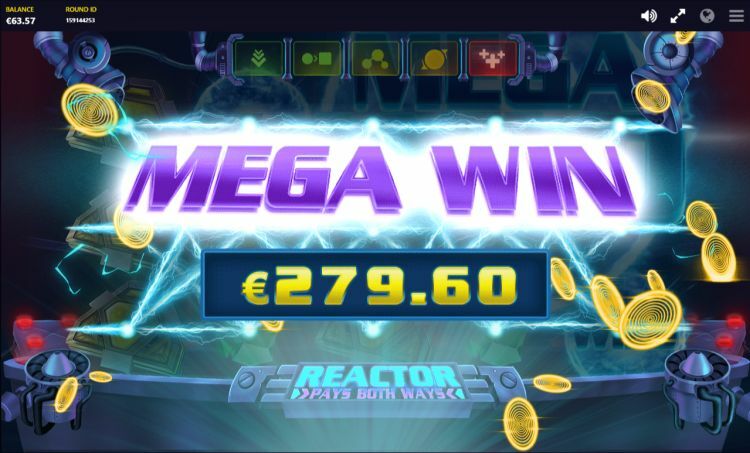 The Reactor slot is found at all reliable Play ‘N Go casinos. One of these Play ‘N Go casinos is Casumo, which is one of our favourite online casinos. 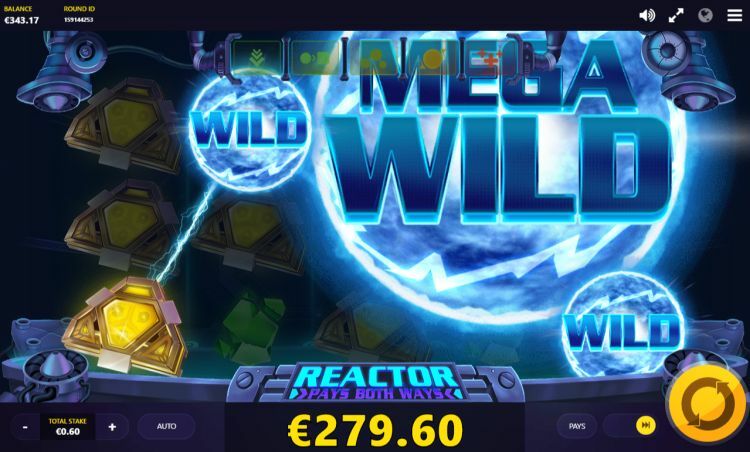 You can play the Reactor slot at Casumo with a 200% bonus up to $€50 plus 200 free spins.